Expanding Pedal 9/16" Axle fits the AM-12, AM-16 and JT Series Trykes. 9/16" axle fAM-12, AM-16 and JT Series Trykes. 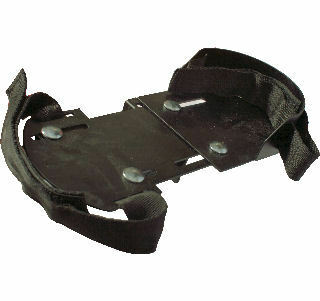 Lightweight durable plate with 1 1/2 inch heel trap, toe and instep straps. Plate adjusts from 7 inches to 10 inches in length to accomodate length of shoe for custom fit.